In many countries, desirable social goals are often pursued using mechanisms known as “conditional cash transfer” (CCT) programmes. For example, encouragement may be provided in the form of payments to families, especially poor families, to ensure that their children receive all recommended immunizations. Chile Solidario is an excellent example of a CCT programme. Participants, who are the poorest, indigenous Chilean households, receive benefits in return for committing to meet certain standards in the areas of education, health, employment, household dynamics, income, housing and registration. Examples of minimum thresholds include being recorded in the civil registry; children being up to date with immunizations; children below 15 years of age attending school and regularized occupancy of land and housing. The benefits to which they are entitled if they meet the standards include guaranteed cash subsidies, preferential access to skill development, work and social security programs, (note: not all benefits under a CCT need to be in cash). So, in summary, if poor families send their children to school, they can receive cash or other benefits. REDD+ is best viewed as a CCT. Under REDD+, qualified participants (developing countries) can receive benefits (“results-based payments”) if they meet certain standards (reducing emissions from forests and/or increasing carbon sequestration, compared with a baseline value). Under a CCT, nothing is bought or sold. The families participating in Chile Solidario are not “selling their children’s health, or minds”. They are undertaking activities that trigger benefits. So it is under REDD+ … no forest carbon is sold, nor is anyone seeking to buy it. Since there is no transfer of title to any defined asset, there is no need to define “carbon rights”. It’s not surprising that there is a tendency to think in terms of buying and selling – that is the case for most forest products, such as timber, bamboo, resins, or other non-timber forest products. But REDD+ is more aligned with Payment-for-ecosystem-services (PES) programmes, which are similar to CCT’s, in that – taking the most common PES example of water quality regulation – land owners, especially farmers, who behave in ways that help to maintain water quality, by for example reducing fertilizer and pesticide applications, receive payments. They are not “selling their higher quality water”! Under REDD+, if relevant stakeholders collaborate to reduce emissions from forests, the international community will provide Myanmar with results-based payments. How these are subsequently shared among stakeholders is a critical – and complex – issue, which should command the attention of all stakeholders. The design of a fair and equitable system of allocating results-based payments is an important challenge for the Myanmar REDD+ Programme. Note that there are schemes under which forest “carbon credits” are sold and bought (to offset emissions). 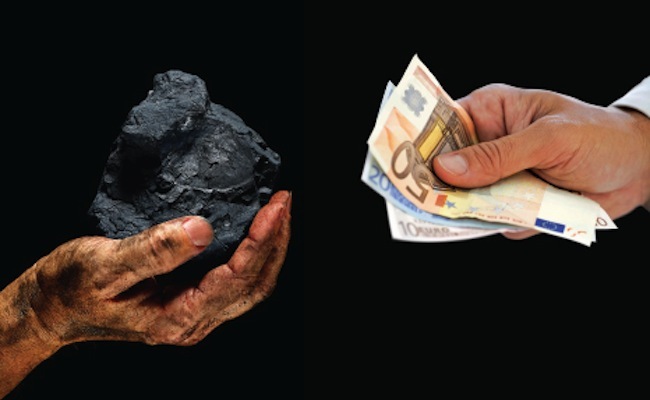 The voluntary carbon market is the most well-known example. But this is not REDD+. Trying to mix REDD+ with such mechanisms is is fraught with challenges. It is these kinds of issues (and others) that led REDD+ negotiators at UNFCCC Conferences of the Parties to design REDD+ as a form of CCT, rather than as a transactional mechanism.